Heartiest greetings from Bangladesh Biology Olympiad. To popularize biology among students we have been continuously arranging biology olympiads at different regional venues of Bangladesh. 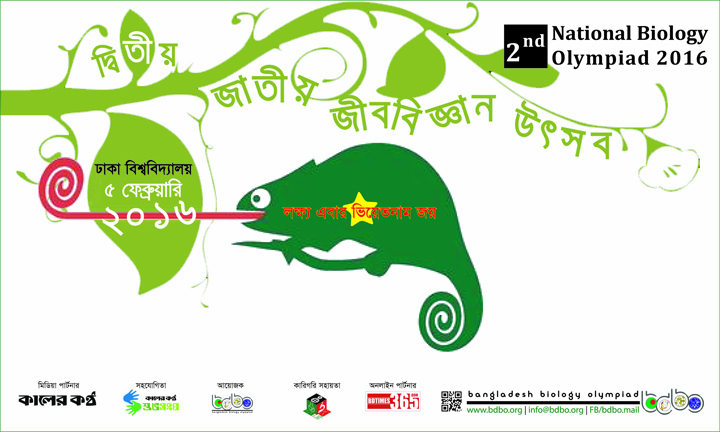 As a legacy of such efforts, the Second National Biology Olympiad was arranged on 5 February 2016 (Friday) at Dhaka University Curzon Hall premises. Find over 1300 pics of the 2nd National Biology Olympiad 2016 in our Facebook group album.